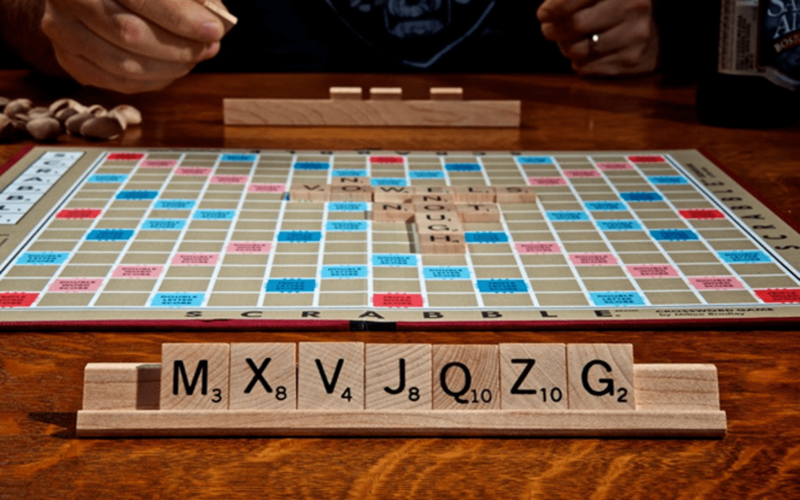 Conceived in 1933 by designer Alfred Mosher Butts, Scrabble has brought joy to millions of American since its inception. The surge of appeal in this word based board game continues even today across the world, and for several good reasons. One of the best things about Scrabble is that it can be played by young and old, and everyone in between, making it a great choice for both family picnics and corporate events. But just like any other game, winning is key in Scrabble too, so here’s a Scrabble cheat guide to help you take home the gold! Scrabble provides double letter, triple letter, double word, and/or triple word tiles, which when utilized correctly can bump your score up quite a bit. Scoring on high point letters isn’t always easy, but you can use these spots and prevent your opponent from doing so. The letters A, E, I, L, N, R, S, and T are the most commonly used letters in the English alphabet, so use them wisely. Even if you can’t make words with these letters, it always helps having one or two of them handy on your deck. Although these may be a bit challenging to pull off, their worth the effort especially if you place them on bonus spaces. If you feel the need to brush up on two and three letter words, here are a couple links worth checking out. If you’ve heard of Scrabble Bingo, you already know just how valuable this play is. To explain briefly, it is a play that uses all seven tiles, meaning a seven letter word that earns you a bingo bonus of 50 points. Players just getting their feet wet with Scrabble can memorize six letter word stems and create the most bingos. For example, the letters AEINST can us used to create an impressive 70 different bingos with more than 20 different seventh letters. And if you start the game with the word MUZJIKS meaning Russian peasants, you can count on a possible 128 points when played without any spaces. Knowing your prefixes and suffixes can help you leverage your opponents’ scores. Common examples of suffixes include ED, -ER, -ING, -LY, -ENT, -IEST, -FUL, -ITY, -NESS, -CY, -AL, -TION, -ITE, while prefixes include NON-, EX-, TRI-, PRE-, and MIS-. As an example, adding ER to the word Jump makes the word Jumper similar to adding Non to the word Verbal to rack up the points. The letter Q in the game of Scrabble is valued at 10 points, but on the downside is also tough to use given that there aren’t many words that start with that letter. In you’ve got the letter Q in your deck, your best bet is to use it as fast as you can on words such as Faqir to Tranqs. Additionally, using Q in a power spot can give you an added edge over your opponents. A hook in Scrabble means changing your opponent’s word with a letter of your own, and by doing this you create a whole new word in the opposite direction. The benefits of this strategy are twofold, where you not only gain points from the new word you created, but also get points for your opponent’s word. For example, adding S to the word Zip will give you points for the word Zip too. The letters J, X, and/or Z in Scrabble are high value letters, and unlike Q are more commonly used in the English language. Using these high letter words especially when used in the right spaces such as double letter, double word, triple letter, and triple words can help you pick up a high number of points in a single round. Parallels are a great way to get rid of your vowels, but still stack up on the points. Just as the name would suggest, they are played parallel to words already on the board, and allow you to gain points for every new word you create. The biggest pitfall of trading letters is that you give up a turn, but if you have letters that you’re finding hard to use, this is perhaps the best way to get rid of them. Scrabble is a fun game that can be played by almost all ages, and the aforementioned tips will help you maximize your points in each play on the board.